Welcome back to this secret high-rise rooftop at one of Shanghai's most iconic night clubs. 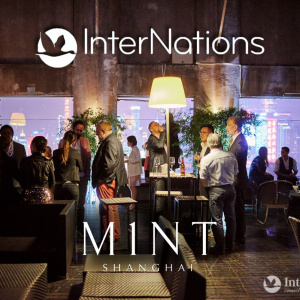 M1NT's rooftop terrace has stunning views of the entire Shanghai skyline, and the weather is going to perfect! MINT is an exclusive club so you will need to tell the 1st floor reception a password to get in. Simply use your InterNations Ambassador's names for this event: Jared Bishop or Weino Wang. Then you will be shown to the 24th floor rooftop (door to the left of the club bar). In case of any rain, the event will be held in the M1NT Lounge. Dress Code is smart elegant, with at least a blazer for men. Woman may wear cocktail dresses, or other fashionable smart elegant style. Guest will not be allowed entry if wearing shorts or sandals.